Your Local Garage Door Lock Experts! Searching for a reputable company that installs and repairs garage door locks? If you are looking for a trusted company that can install and repair your garage door locks, we at King Door and Lock offer fast and friendly, 24/7 door lock services. With King Door and Lock Maryland and DC, homeowners and business owners get expert workmanship, exceptional customer service, and affordable, up front pricing. We know how to effectively install and repair a wide range of garage door locks. Both residential garages and commercial garages are within our expertise. We equip our skilled technicians with all of the most advanced tools so they can optimize the benefits of their vast experience and better serve each customer. While we can handle any variety of garage door lock that you request, our expertise with the rim cylinder lock is worthy of special mention. Many apartments or commercial buildings are best outfitted with a cylinder lock because it enables easy re-keying. We have the knowledge to rekey, install, or repair this specialized lock type with rapidity. Rim locks bolt into the door frame and are thus much stronger than many other lock types. We can both recommend this particular lock and fully handle the installation and repair process for any variety of rim cylinder lock on your garage door. 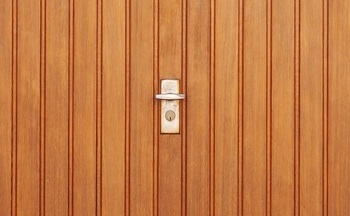 If you have a wooden garage door, we suggest having mortise locks. King Door and Lock excels in installing mortise locks in Washington DC and Maryland. 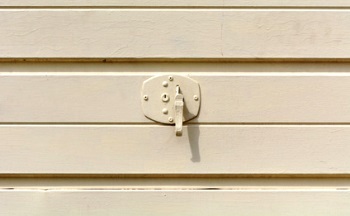 Your old garage door lock may be showing signs of wear and tear. It may not turn and open as easily as it once did. It may get stuck shut or open on occasion. It may be squeaking and scraping metal. Perhaps the key is not working properly with the lock system or sometimes gets stuck in the key hole. There are a multitude of problems that can occur with the deadbolts, latches, and other parts of a lock. We have the experience to examine your lock and locate the issue. By replacing the problem part, we can often solve the dilemma. However, it is sometimes best to just replace the whole lock. We can assess the situation for you to help you make an informed decision. Finally, it may be that your key has been compromised. You will need to re-key or change the whole lock-key combination for security reasons. We can take care of it for you and give you back your peace of mind. By using the excellent services of King Door and Lock Maryland and DC, residents can avail themselves of a top-notch, locally owned and operated business. We are a well-established company that has acquired the invaluable experience needed to fully service the garage door locks of Maryland and the Washington D.C. area. You can count on us for 24/7 door lock services, fast and friendly customer service, and competitive, up front pricing. Contact us today for a free estimate, and we can get to work right away. We always deliver a quick, professional job and are not satisfied until you are! Garage Door Locks https://kingdoorandlock.com/garage-door-locks/ 4.0/5 based upon 32 reviews.